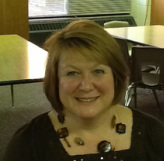 Mrs. Deepe's Speech-Language School Site - WELCOME! Shhh! Don't tell them they're practicing! Hi! I'm Judy Deepe. My students call me Mrs. Deepe or Miss Judy Deepe, sometimes within the same session ;). I sign my IEP's, Judith L. Deepe, M.Sc., CCC-SLP. I graduated with my Masters Degree in 1989 from Fort Hays State University in Hays, KS. I have been employed as a Speech-Language Pathologist by the Educational Service Unit No.9 for 24 years. I have been blessed to have spent the last 16 of those year serving students and working with the wonderful teachers at Hampton Public and Lutheran Schools. I love the flexibility and challenges of helping my students! I've been married for 19 (and a half) years to a wonderful man. We have an awesome son, who attends HPS, and two dogs who keep us entertained! Fine print: All therapy materials, websites, or applications cited in this website are offered as potential tools to aide in the development of speech and language skills. As such, these tools are to be used as a part of speech and language therapy services in the hopes that you will practice with your child outside my room ;)! I encourage you to contact me at 402-725-3615 or <jdeepe@hamptonhawks.us> with any questions you may have. Not all student misproduce all 32 /r/ allophones and the misproductions are usually separate. For example, students who misproduce prevocalic /r/ or words with /r/ at the beginning of the word also misproduce the /r/ in initial /r/ blends as in the word bread. The vocalic /r/ words in my clinical experience are not intertwined with prevocalic and initial /r/ blends.